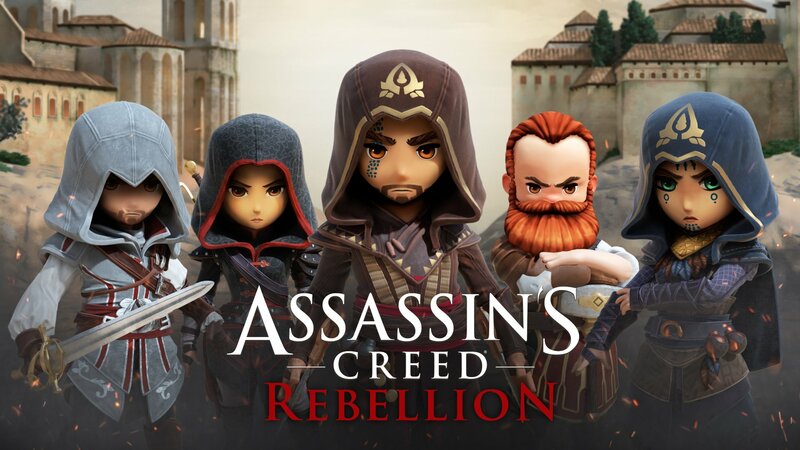 Assassin’s Creed is returning to mobile devices and the Spanish Inquisition in a newly announced mobile game, Assassin’s Creed Rebellion. Rebellion is a free-to-play strategy RPG being developed between Ubisoft and Behaviour Interactive. Players will be able to build their own assassin’s brotherhood and recruit from a roster of over 40 assassins. Characters from across the series will be featured, such as Ezio, Aguilar, and Machiavelli, as well as 20 new characters created for Rebellion. Players will be able to level-up and upgrade their brotherhood’s headquarters while running infiltration missions with recruited assassins. Assassins will have to be chosen wisely for missions, as different skills and character combinations will play a role in successfully completing missions. A variety of missions can be completed to further influence the development of a player’s brotherhood, as standard missions will aid in assassin development while loot missions will provide crafting materials. New assassins can be unlocked by playing story or legacy missions and collecting DNA fragments. A release date hasn’t been announced yet, but Rebellion will be available for iPhone, iPad, iPod Touch, and Android devices.